Please select dates and click "Search" button to find available room in Hotel The Neighbour's Magnolia. 1) From Schiphol Airport: Every 20 minutes there is a train running from the airport to Amsterdam Central Station. When you arrive at the airport and you reach the central hall there is a big sign with the train information. The trains to the central station are normally running from 05:40 AM to 00:30 AM (go to step 2). 2) From Amsterdam Central Station: From and to Amsterdam Central station you can take tram 2. 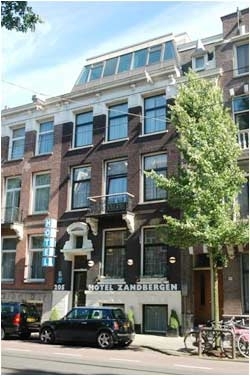 This tram stops almost in front of the hotel (Stop = Cornelis Schuytstraat). The trams in Amsterdam are normally running from: 07:00 AM to 01:00 AM.